I know Ronski set up some discord servers a few years ago, but seems like they've not really see much use these past 2 years. So I decided to give it a new go. Õudne! Ülinõme! Ärge mind küll lööge! Anna õlu üle ülo õe õla! 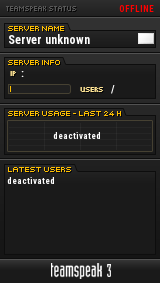 Right now there's some problems with the auth server and we don't have access to it. The host said they'd try to get it up and running within a few hours. The Lounge / Anyone in Berlin Wednesday night? Going to drive there starting on Tuesday evening. The Lounge / Anyone in London this weekend? Anyone's welcome to come ! Academic Male Choir of Tallinn University of Technology (Estonia) invites you to their next concert in London at St James’s Piccadilly Church on 19 March at 7.30pm. It will be a unique opportunity to listen to one of the greatest male choirs from Northern Europe. The choir will be performing together with one of the most outstanding opera basses, Ain Anger. The works of British, German and Estonian composers, ranging from epic war stories to jovial opera scenes, will be performed. The soloist Ain Anger has been named as "one of the great Wagner basses of our time" by The Guardian. He has sung over forty roles in the Wiener Staatsoper, Austria. The current season also includes his debuts at the Royal Opera House as Pimen in Richard Jones’ new production of “Boris Godunov”. The choir, conducted by Peeter Perens and Siim Selis, celebrates its 70th birthday with a tour in the UK. We hope to see you at the concert. The Lounge / Happy Birthday Big Sergio! News / Happy Holidays everyone! Make sure to grab a present from under the tree, everybody! Credits for the picture go to ronski. It will take you to maps you love now as well as to your future favourites. Every Sunday there will be a different theme with four different maps. Each map will have two sets and certain amount of rounds, after which the map will be changed (map rotation will not be time driven). The event kickoff is on Sunday 06.12 at 20.00 CET at the official MAPSTRAVAGANZA server, be there or be square! Contact ronski or just post on the Mapstravaganza subforum if you want to help or have ideas about how to improve the event. Well I've decided I'm going to buy (or build?) a new PC. The problem is, I've not been at all up to date with the hardware stuff and wouldn't really even know where to start. It seems that nowadays, they don't really sell readybuilt PCs (as was the trend the last time I bought one some 10 years ago) and if they do it's usually for an office. That's pretty much it. I have a 3 TB external hard drive at home so it wouldn't need a huge one (although a 64GB SSD would be a tad small to my taste). So all in all, any ideas what to look for? How easy would it be to really build one given the parts? I bet there's tons of videos on youtube on this. Is there something coming out soon that might make older generation stuff's price go down? If there's any further questions, feel free to ask. Any advice and help would be appreciated! Should I do something when scanning them (are there settings for this? I don't know) or can it somehow be post-processed? The yellow is there quite clearly in the original sheet music. It's from the 80s. I'll also add a page from the pdf. Pardon the upside down and weird language. The Lounge / Happy birthday, Big Sergio! The Lounge / [Winterbells] Bored at work? I know I am! And now it's in Assist as well! Today, a winter update of Assist was released. Holiday maps include Urban Assault (new!) and Insurgent Camp. You will also get double points on these maps during the holidays! Hop on to a game and see what all the fuss is about! Make sure to check out video! Happy upcoming holidays to everyone! Look at his posting activity by time. It doesn't matter what time it is, ELiZ will still post! I say this is proof enough that we got a robot on our hands!